Change is only 50 minutes away! 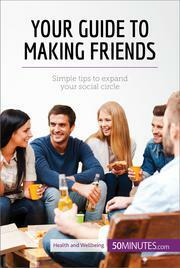 Find out everything you need to know about making new friends with this straightforward guide. Friendship is a fundamental human need: we are social by nature, and can feel frustrated and isolated if we do not have people to talk to and share our interests with. The good news is that, by following a few simple steps, anyone can learn to reach out to others, strengthen their friendships and stay close to the people they care about.